Around 75 years ago in the history of Wildlife of India a new revolution took place in the name of Corbett National Park. 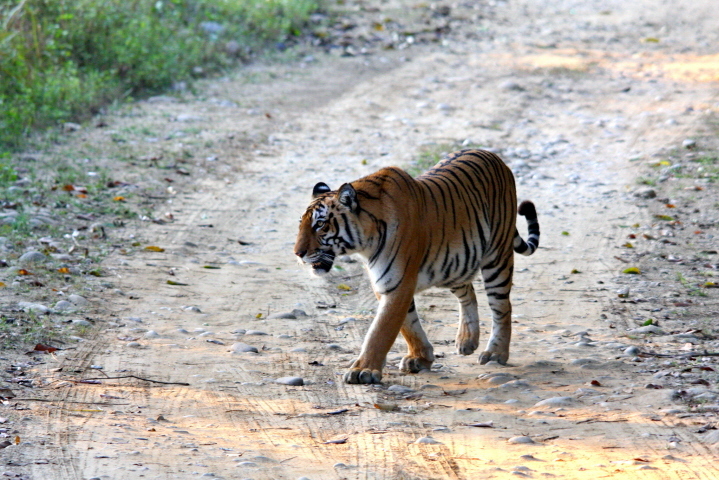 The park that itself is a legend, the park that beholds the legendary tales, the park that has much significance in the world of wildlife; India’s’s first national park established in the year 1936 in the mainland Asia and the first tiger reserve under the “Tiger Project”, Jim Corbett National Park has captured the imaginations and attentions of many nature lovers as well as the tiger lovers for a brilliant tiger tours in the Himalayan foothills in Nainital, Uttarakhand. Elephant Safari- Sitting on the back of the majestic and giant creature of the jungle and witnessing the grand predators so closely which is safe as well. The enthusiastic explorer can dwell deep into the lush foliages to visit the endangered creatures roaming leisurely around the jungle where no other vehicles can go. Jeep Safari- The authorized jeep of the tiger reserve will take you to the buffer zone of the area where private vehicles are not allowed and can explore the true wilderness and tiger watching experience. 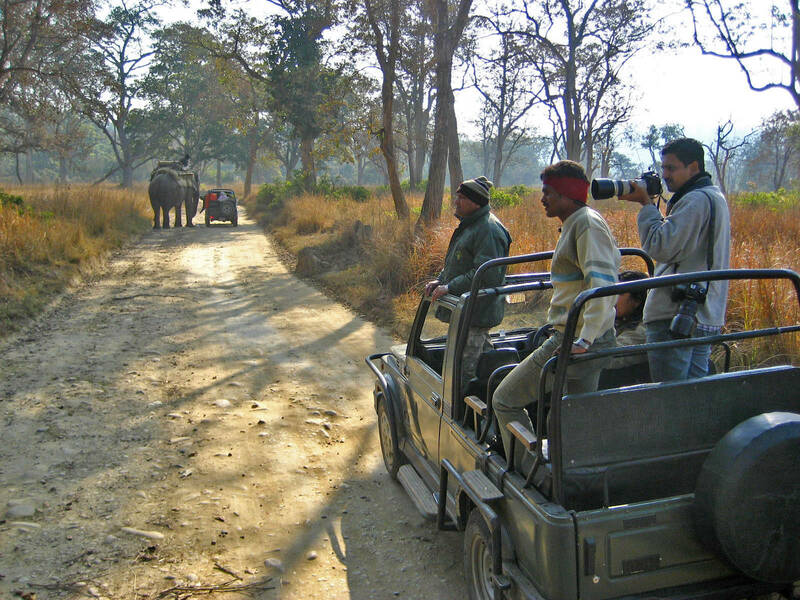 Jeep safaris can be done through Jhirna, Bijrani and Durgadevi gate of Corbett national park, one need to take permit from Park’s Ramnagar office for jeep safaris and can enter into the forest Area. Canter Safari- A canter (bus) safari is another way of experiencing safari and especially when you are in a troop/group. The canter will take you to the Dhikala zone of Corbettwhich is operated by the reserve authorities. Since the seats are limited, a prior booking is needed for the canter safari. Corbett Reserve brings the long list of avi-fauna species. It’s a real paradise for the varieties of almost 586 species of resident and migratory birds for a perfect birding tour. 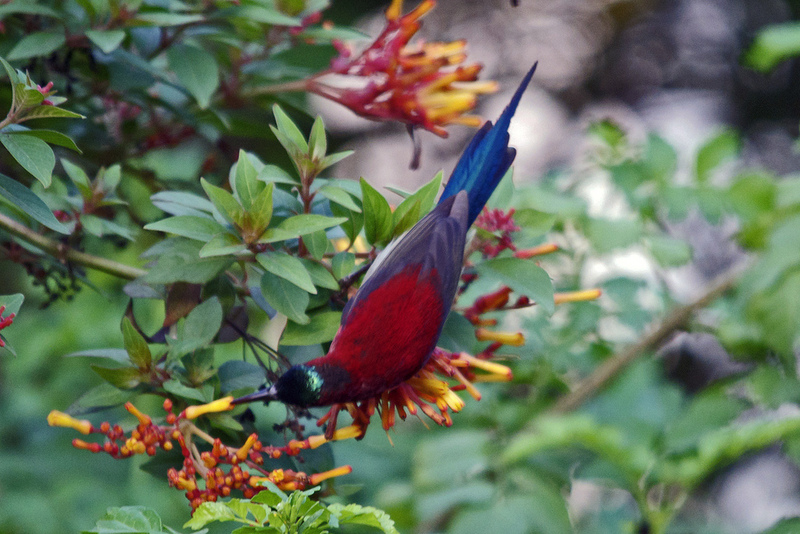 Keen ornithologists can spend their ample time observing these widest avian and feel the thrills. The best timing for bird watching in Corbett is between November to March so you can catch the migratory species too. Corbett is also the best location for fishing and angling in Ramganga River of the vicinity. You can find some major spots like Machula Bridge, Van Ghat pools, and other beats along the world famous Ramganga River that gives fishing and Angling lovers the ample opportunity to catch the attractive species like Golden Mahasheer and Goonch / Cat Fish. The angling season at Corbett starts on the end of September till May last. 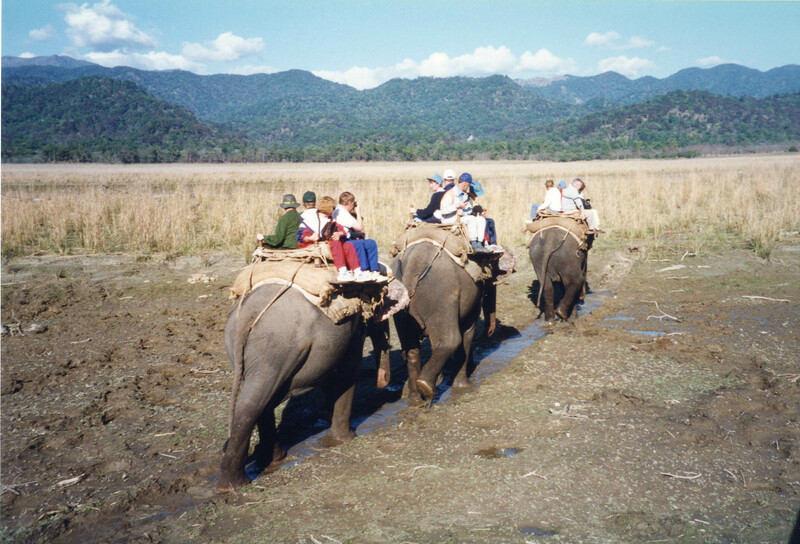 Accommodations play a major role in any kind of wildlife tour. Thus, Corbett can again be your preferred choice to make a lovely accommodation at its amazing vicinity. Resorts like Corbett Leela Villas, Dhikala Forest Lodge, Infinity Resort and Ramganaga Resort are filled with maximum beauty and best luxurious amenities amidst the lush natural environment. Spend some days at the Corbett Tiger Reserve and feel the enchanting spirit by enjoying these special aforementioned activities for thrilling wildlife holidays.